Exeter has a real sense of individuality, its varied cultural scene is embraced by proud locals, and the diverse mix of eateries means it is renowned as one of the foodie capitals of the South West. Head to the West Quarter or the cobbled Gandy Street to discover great mix of independent shops and boutiques, cafes and bars. 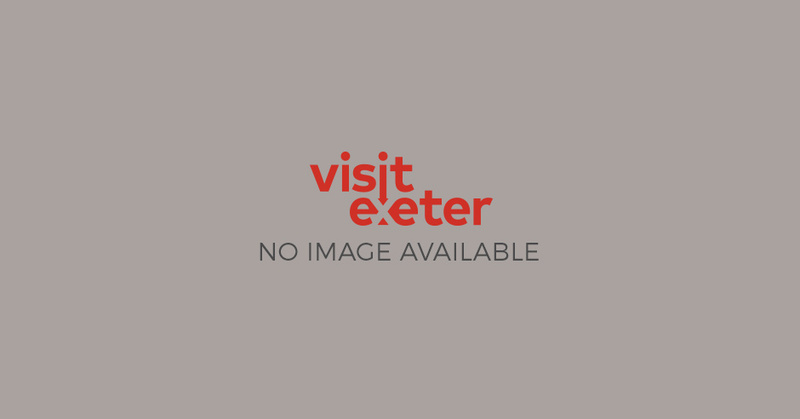 When it comes to culture Exeter is renowned in the south west for its independent arts scene. It is also firmly on the map as a destination for top sporting events and music. A good mix of independent venues such as the Exeter Phoenix, and large venues such as nearby Powderham Castle play host to a packed calendar of events and festivals throughout the year. What better way to celebrate the first Spring Bank Holiday of the year, than on a food and gardens themed weekend break in beautiful Exeter. We’ve teamed up with Toby Buckland's Garden Festival; the Exeter Festival of South West Food & Drink and Jurys Inn Exeter to give one lucky winner the chance to enjoy a fantastic weekend break for two people. Exeter Festival takes places from 5 - 7 July, a fun-filled, jam packed summer extravaganza with bucket loads of family friendly activities and things to see and do over a packed weekend in the city. Exeter has a rich cultural heritage. Its long history has led to a strong identity as a small city with lots of character. The Exeter Food & Drink Trail celebrates the fantastic local producers in and around Exeter. 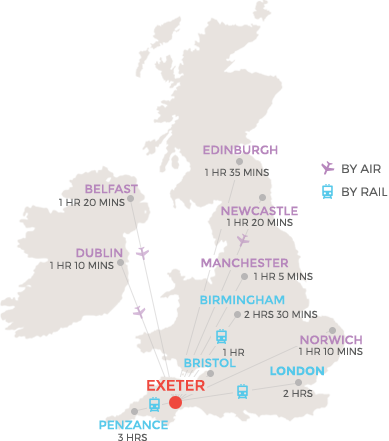 Explore our top picks of places to stay and things to do in and around Exeter. Exeter's vibrant arts scene sets it firmly on the map as the cultural centre of the South West. There's plenty going on for all the family and activities for children of all ages in Exeter. New for 2019. Experience an alternative night out and delight in after-hours exploration and entertainment at the Royal Albert Memorial Museum. Come along and enjoy superb rugby at Sandy Park for the Gallagher Premiership Rugby 2018/19 season, with one of the top clubs in the country and Aviva Premiership champions in 2017. The Exeter Chiefs are committed to providing supporters with a complete match day experience starting when the gates open. The Chiefs have invested heavily in state of the art technology to add to the match day experience and each internal bar area is provided with large drop-down screens to view previous Chiefs matches, Sky matches and internationals.